Maximum Pest Control Services has been servicing satisfied businesses and homeowners since 2008 with many years of structural extermination and wildlife control experience. Our success and value is dependent on a consistency to provide pest management that actually work. We take great pride inside us our understanding and skills to evolve specific innovative ways programs suited to your situation to make it work! We’re a in your area operated and owned Canadian business dedicated to giving the optimum value and sincere workmanship for your dollar.Our staff of qualified and experienced specialists are experts in lots of parts of bug/animal elimination, from insect identification to bedbugs extermination. Our continues non-stop victory is maintaining clients happy while providing the Maximum protection from pests to Residential, Commercial or Industrial, clients satisfaction is our Maximum First Goal. Our company is a strong, professional, and courteous exterminators that will provide Reliable Care professional grade guaranteed service with a Written Guarantee , All Residential services for rodents and insects come with a writing warranty using Only the most effective methods available on the pest control market today. Effective service that Actually Work! Competent services using IPM techniques minimizing environmental concerns. New technologies are vital that pest and wild existence control changes quickly and nature changes. Maximum Pest Control constantly aims to keep developing safer and Eco-friendly solutions that best service your requirements. Our focus for you is on delivering the very best practices that work. “Maximum Pest control & animal exclusion service for Ancaster, Brampton, Brantford, Burlington, Cambridge, Dundas, Etobicoke, Flamborough, Georgetown, Grimsby, Guelph, Halton Hills, Hamilton, Milton, Mississauga, Mount Hope, Oakville, Port Credit, and Stoney Creek. 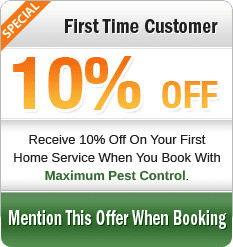 Pest control, exterminator & animal exclusion service : Burlington, Hamilton, Mississauga, Oakville in Ontario. Providing Comprehensive Pest Management throughout: The GTA ,Maximum Pest Control | Toronto, Golden horseshoe, Mississauga, Brampton, Milton, Oakville, Burlington, Hamilton, Niagara.